It was a serious sudden mass attack against the utterly fair dj when some reggae-dancehall artistes rained worse accusations on him on their facebook handles, but before it would get even more worse, DJ Nature Won rushed their comment threads to clear the air --- following a hint by a fan that so so and so artistes are angrily accusing him of not listing their songs on his mixtapes. The DJ has released 6 mixtapes out of a promised 48 for the year, some of the artistes whose songs aren't listed on these 6 releases are the disgruntled ones. They feel DJ Nature Won has no liking for their works and so took to Facebook to pour their resentment. 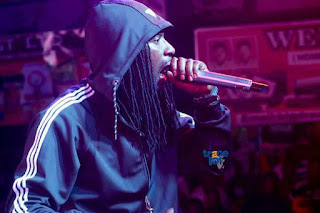 But the mass resentment over the wrongly perceived DJ Nature Won mixtape playlist bias dwindled down to calm when the passionate DJ commented that he has not sidelined any artiste. Apparently, Nature Won can’t lay all the over a thousand songs in his song bank on a single mixtape. He definitely has to break down his song listings into a series of volumes and release them on a periodic basis, but the artistes whose songs haven’t yet appeared on the DJ’s few recent or numerous previous releases felt highly ignored or unfavoured whereas the DJ ever works fair and has zero tolerance for favouritism. According to the goodhearted DJ, he is running a cycle of 48 mixtapes this year and he has all the reggae-dancehall artistes in mind. He made it understood that his is a serial release project thus he has stocked up a bunch of songs for his next mixtapes, so no artiste should feel left out or biased against.